Sometimes, modern art is fantastic. I'm afraid that this doesn't fall into that category. 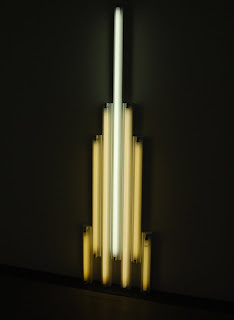 It's one of at least five pieces by Dan Flavin at the Pinakothek der Moderne in Munich. 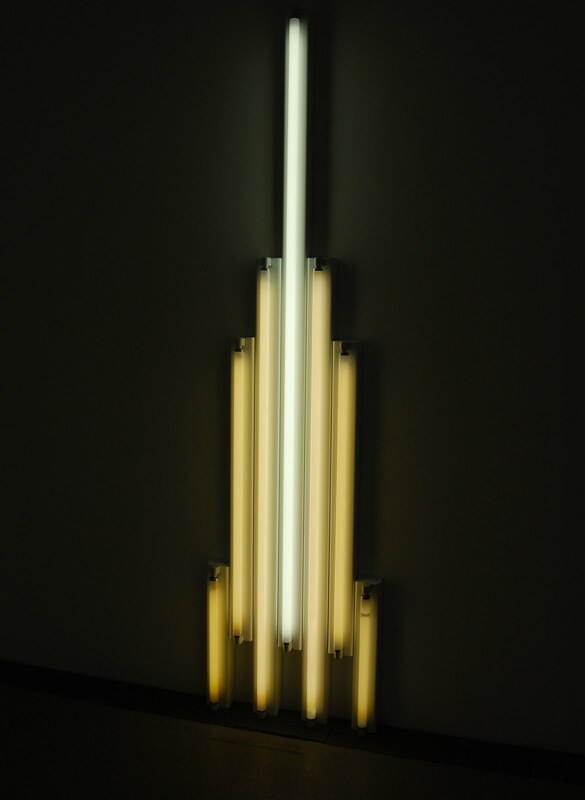 They consist entirely of consumer fluorescent tubes mounted in varying formations. You might like them, you might be indifferent, but if given a shopping list and a napkin sketch, you could recreate any of them with a few hundred dollars and an afternoon trip to any hardware store. Instead of that pragmatic approach, this museum arranged for everything to be packed into an impressive collection of beautifully crafted custom wooden crates. They were then insured, shipped from New York to Germany, and unpacked for careful reassembly. And of course, because European electricity is both stronger and slower than American electricity, the gallery arranged for a set of AC-DC-AC converters in order to properly power them. It saddens me to think of how much money was wasted on this.